SACRAMENTO — Los Angeles-based Grateful Crane Ensemble will present two shows at Buddhist Church of Sacramento, 2401 Riverside Blvd. in Sacramento. Presented by ACC Senior Services, Buddhist Church of Sacramento, and Sacramento Japanese United Methodist Church. 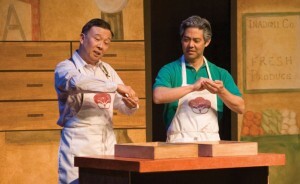 For tickets, call Monica at ACC Senior Services, (916) 394-6399, ext. 141. In “Nihonmachi: The Place to Be,” an Issei grandfather returns from the dead to bring J-Town back to life. After 99 years in business, Sansei Alan Iwata has decided it’s time to shut down his family’s manju-ya. But just as the doors are about to close, the spirit of his Issei grandfather returns to take Alan back to J-Town, the way it used to be. This story about family, history and finding one’s roots features nostalgic Japanese and American songs that will take you back through time to the special place where it all began. Just the mention of a “Japanese American Dysfunctional Family Play” has brought smiles and laughter from Baby Boomer Sansei who grew up in a uniquely JA family environment. Why is this so? What is it about growing up Sansei and family dysfunction that brings immediate recognition from those who were there to experience it? 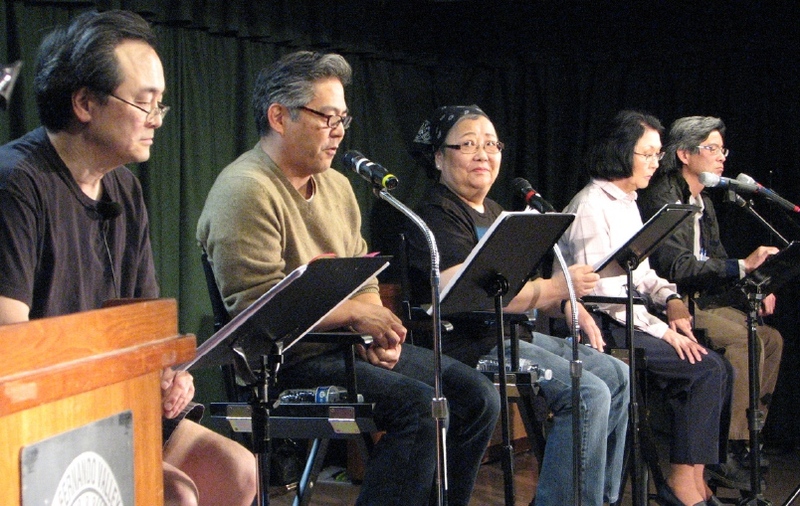 A reading of “Garage Door Opener” by Ping Wu, Kurt Kuniyoshi, Susan Haruye Ioka, Dian Kobayashi and Shaun Shimoda. These questions and more will be addressed in “Garage Door Opener,” Soji Kashiwagi’s new comedy/drama, in which Glenn and Sharon Tanaka, a Sansei brother and sister, are faced with the daunting task of cleaning out their parents’ garage and house after they passed away. As they sift through dozens of empty tofu containers, kamaboko boards and broccoli rubber bands, Glenn and Sharon begin to uncover items from their past that they knew nothing about, and in the process, begin to gain a better understanding of their parents —and themselves — by the items their mom and dad left behind. After the reading, Dr. Satsuki Ina, an expert on JA family dynamics, will facilitate a dialogue about the play with Kashiwagi, and answer questions about issues such as camp and its after-effects on the Nisei, Sansei and subsequent generations, shame and not bringing shame on the family and decluttering one’s life of both emotional and physical baggage. For more information, visit http://gratefulcrane.com or Grateful Crane’s Facebook page.